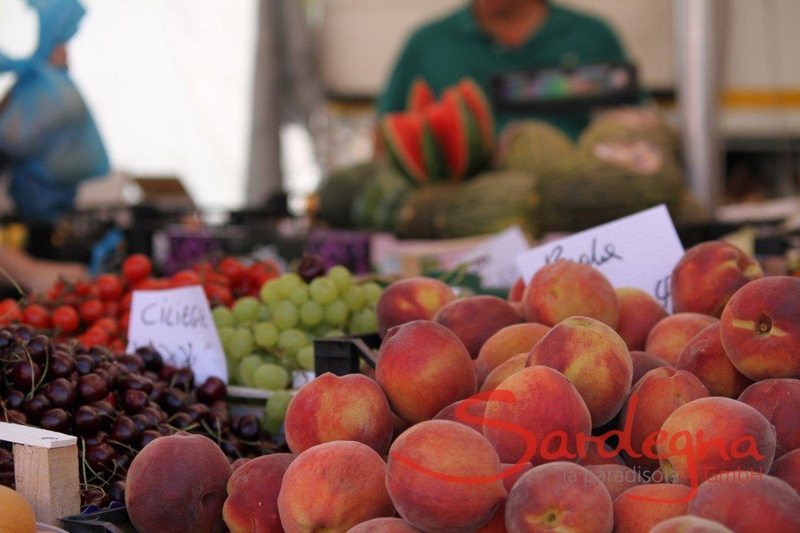 In the heart of the Sardinian capital, Cagliari, in the very south of the island, you will find the Mercato di San Benedetto, the market of Saint Benedict. In the morning, even before the sun rises, the fishermen bring the fish that they have only just caught along one of the most beautiful and clean coasts in the world. Red mullet, grey mullet, sea bass, bream, mussels from Olbia and Oristano, oysters from Ogliastra, trout from the Flumendosa river and, of course, salmon from the north. The market is open every day of the year and has become a kind of pilgrimage for all - locals and visitors - who enjoy good food and fresh produce. And here, in the middle of the land of the nuraghi, you can taste freshly prepared sushi. Experience the diverse fragrances as you wander between the market stalls. Watch the traders offer their wares, and the customers choose their goods with care. Immerse yourself in an endless profusion of fruit, vegetables, and pulses from Isili, Sestu and Oristano. Survey the meat offered by local producers, and savour the cheese specialties prepared by Sardinian shepherds and cheese makers; you will understand why these people are so proud of their culture. The Mercato di San Benedetto embodies the island‘s cuisine. Enjoy Sardinia‘s beaches, take a boat trip along the dazzling coast, visit the Barbagia, the nuraghi, and the museums. 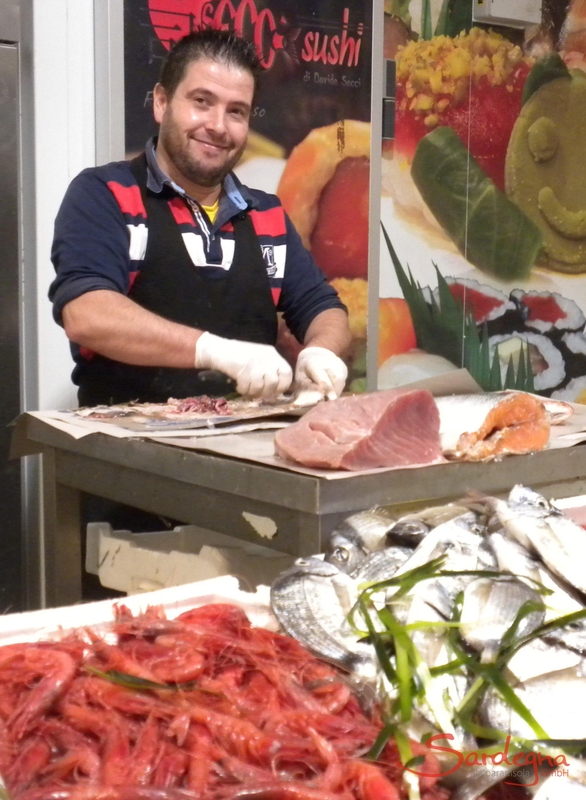 But if you really want to get to know Sardinia, there is no way around a visit to the Mercato di Benedetto.